A dialogue between a best-selling prosperity preacher and a world-class pessimist. Lakewood Church senior pastor Joel Osteen’s second book, Become a Better You, reportedly made him $13 million; his latest, I Declare (FaithWords, $22), is now on USA Today's best-seller list. Osteen came to lead the country’s most mega megachurch by selling a feel-good message about the relationship between positive thinking and a life well lived. “Explosive blessings,” Osteen tells his congregation, come to those who “speak victory.” Osteen fans, who include Oprah Winfrey, Hulk Hogan, and Cher, are instructed to “develop a habit of happiness.” And while some critics quibble with the pastor’s parroting of the prosperity gospel, and others question his rather sunny take on the Old Testament, you’re unlikely to find an Osteen contemporary who takes issue with the claim that people would do well to look on the bright side—a sign, perhaps, that Osteen’s injunction to “speak victory” has been successful, at least in his case. So for that elusive nay-saying perspective, we turn to the late German philosopher Arthur Schopenhauer, best known for the belief that it would have been better never to have been born. Below, an exchange of ideas between the best-selling optimist and history’s most accomplished philosopher-pessimist. Osteen quotations taken, with minor alterations, from I Declare, Become a Better You, and sermons delivered at Lakewood Church on November 18 and 25, 2012. 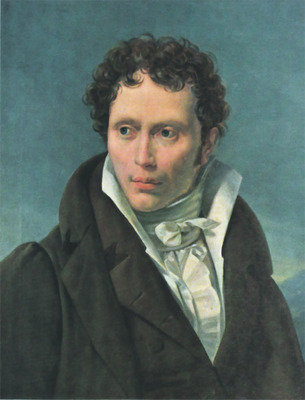 Schopenhauer quotations taken from The World as Will and Idea, Studies in Pessimism, and statements recounted by Jorge Luis Borges in The Total Library.